We offer the best tips and tricks to navigate and handle criminal and DUI cases throughout Maricopa County and the State of Arizona. Find a lawyer who has spent more than a decade protecting people charged in Criminal and DUI cases in Phoenix, Scottsdale, Mesa, and throughout the State. We are so busy living our day-to-day lives that we are forgetting to adequately plan for the future. Statistics show that almost half of US adults don’t have a will. What will happen when all of a sudden you don’t exist? Will the estate you accumulated all your life be put to good use? Life has no guarantees and planning for the future is necessary. Estate planning does just that. It is the efficient planning for the disposal of your entire estate. Whether your estate comprises of several properties, bank accounts, or just your personal possessions, it will be passed down to a family member or loved one one day. Estate planning helps you leave a good legacy behind because every bit of your estate counts and is used as you would have it used. Here are some things to know about estate planning. A guardian plan for your children- If your children are minors, you should have a plan for who will raise them if both you and your spouse passed away. You also need a plan for how your life insurance payouts and any other money you leave behind will be used for your children’s benefit. A will- You write a will to state how such assets as your home, car, bank accounts, etc will be distributed if they are not under a trust and lack beneficiaries. Executor- An executor is the person you choose to carry out your wishes, as stipulated in the will. Trust- A living trust grants you the right to bypass the public probate process when passing on your estate. It also allows someone else to take care of your affairs in case you are incapacitated. Medical power of attorney- It names a person who will make your medical decisions if you can’t make them yourself. Living will- A living will provides direction to the person you have named in your medical power of attorney. It states what you would want under different circumstances. Financial power of attorney- It gives someone the power to manage your finances. You can either limit it to some functions or allow them to manage all your finances. Estate planning helps you organize all your assets as well as the titles and designations that should be given to your beneficiaries. This is important because lack of an estate plan can cause chaos and property fights among the beneficiaries. If you are declared incapacitated and you have no estate plan, the courts appoints a guardian to oversee your estate and also controls the use of your assets. If you die without a will, the estate law determines who inherits your assets. State laws are not always in accordance to our wishes. Your spouse and children stand to lose a lot in the absence of an estate plan. Whether you are wealthy or not-so-wealthy don’t wait to get lots of money to start planning for your estate. Sure, you need an attorney to guide you through the planning process, but when to put the wheels in motion is completely up to you. You can start small; save, get a life insurance policy, write a basic will and eventually, you will have an action plan in place. Planning is essential in everything we do. Don’t wait to grow old so that you can plan your estate. Form an estate plan and monitor it for suitable changes as time goes by. And you will be prepared for the uncertain future. Living at home with the need for constant medicinal care can be harsh to manage. With home medicinal hardware, you will have the capacity to screen your wellbeing and not need to stress over racing to the specialist’s office each time you think something isn’t right just to find out you are fine. With your therapeutic hardware, you will have the capacity to screen your wellbeing, saving yourself from those troublesome and costly healing center visits that were uncalled for. There a lot of health care services that provides exceptional services. The facilities and infra structures has been planned by experts and estate planning attorneys. Depending on the seriousness of your condition, chances are you ought to have the capacity to screen yourself with basic instructions. Restorative gadgets can be costly and difficult to get your hands onto. When buying medicinal supplies for your home, the expense is by, and significant lower as the units themselves are less expensive and made on an individual scale.not made to run a whole floor of a doctor’s facility. Your wellbeing is something that ought to never be surrendered over to risk. With home hardware to screen your prosperity, you will never need to surrender your wellbeing over to gamble again. It is likewise pleased to have for crises. If a mishap should strike, now and then waiting for the emergency vehicle is the distinction between life and demise, and being ready to act quickly is vital. Home restorative hardware, for example, EKG/ECG machines, patient’s screens, dental gear, defibrillators, densitometer, blood analyzer, beat oximeters, ultrasound, push test, or power seats and tables can be excruciating to have at your home. The therapeutic gear doesn’t need to be for you, maybe you are looking after a friend or family member and would prefer not to take any risks with their wellbeing. There are a million motivations to have your very own therapeutic gear, for example, long lines at the healing center for something as routine as a pulse test. Caring after your friends and family or your self is no simple errand, and anything and everything that can make this procedure less demanding for all involved is something worth being thankful for. That is the reason therapeutic gadgets and hardware for individual utilize can be the response to every one of your petitions. Having home medicinal gear is becoming somewhat routine nowadays. Individuals are realizing what it is they have to keep themselves protected and reliable and are going out and buying their therapeutic equipment and learning how to utilize it appropriately. Perhaps it is time you did likewise. Usually, seniors would prefer not to leave their homes. They would prefer not to forfeit familiar surroundings, comforting recollections, and deep-rooted connections for the weirdness of helped living or constant care. The more they can furnish their homes with the medicinal gear they require, the more they can remain protected and well in their homes. On the off chance that portability presents issues, seniors need inclines and lifts to explore their homes’ good and bad times. In the case of breathing stances issues, they require protected, proficient oxygen machines-both available little units they can take with them as they approach their day by day business, and bigger units for resting and sleeping. A home all around prepared for care likewise needs screens, meters, and measures. Seniors and children of post-war America’s medicinal gear need to reach out to circulatory strain and glucose screens, stethoscopes, and drugs administrators. More seasoned individuals with heart issues usually measure their circulatory pressure in any event once every day, and regularly their medicine necessities shift according to pulse readings. Essentially, diabetes patients should continually screen their glucose, making sure it doesn’t take off too high or plunge perilously low. For patients who require drugs by injection, syringes and needles top the rundown of essential restorative gear; and they cost less when patients purchase in mass. Maybe above all, the average individual more than fifty takes somewhere around five drugs more than once every day. Along these lines, pill cutters, pill smashers, and pillboxes ascend to the highest priority on everyone’s rundown for most necessary and most required restorative hardware. Physical advisors and exercise physiologists every now and again guide seniors and children of post-war America to maintain their quality and adaptability with specific exercise gear accessible through restorative hardware merchants. Uniquely planned exercise seats encourage seniors and children of post-war America’s quality training, and an assortment of adaptable expandable groups and cylinders enable more established individuals to maintain both quality and high flow in their arms and legs. Uncommonly adjusted free weights and hand weights likewise add to more seasoned patients’ abdominal area quality. Becoming a victim of personal injury can be an emotionally disturbing situation where you will have to deal with the pain, trauma and mental stress associated with the accident or injury. Moreover when you are not at fault for your injury then it is important that you look for a personal injury lawyer who will help you to deal with the situation without losing your sanity. A personal injury lawsuit involves the selection of an experienced and trained legal professional who will provide consultation and assistance for the case. Search for Cleveland personal injury lawyer to get information regarding this issue. Therefore you will need to look for the tips for choosing the right personal injury lawyer who will help you in getting maximum compensation for the potential injury settlement..
Benefits of hiring the right personal injury lawyer -Informed decisions -Deals with complex court proceedings -Prepares documents relating to the case -Handle complicated legal procedures -Maximum amount of compensation -Excellent legal representation -Investigate the case thoroughly –Strong background knowledge Being injured due to the fault or negligence of another individual can be a very debilitating situation as you might lose your ability to work, earn money and provide for your family members. But when you hire a personal injury lawyer, you will be able to get a lawyer who is experienced and competent enough to represent the case on your behalf. Tips for Choosing The Right personal injury lawyer includes- When looking for a law firm, you should consider opting for the one that is large in size because it guarantees to offer you with highest quality of service at affordable price. Large law firms also employs the best personal injury lawyers from the industry and hence you can be rest assured that you will get the best service from these professionals so that you will get maximum amount of compensation for your physical injury and mental trauma. The personal injury lawyer that you hire should also possess many years of experience so that he will strive in offering positive results from the case and you will be compensated fairly for your sufferings. An experienced lawyer will deal with the accused, insurance companies and any other third parties involved in the accident or injury so that you will get complete peace of mind. Doing proper research is very important if you want to make the right selection of lawyer so that you can get the right professional for offering you legal assistance and guidance for representing you in the court. You can look for the past clients, feedbacks and track record of the personal injury lawyer before making the final selection so that you will get the best compensation for your sufferings. Area of expertise is also an important factor that you will need to consider when hiring a lawyer and you should look for a lawyer who has experience in handling case similar to that of your case so that you will get guaranteed results in favor of your case. Retirees, spouses, and survivors of retirees, disabled workers, and their families can take advantage of the social security these days. The situation was not the same in the past. It has gone through several changes and after a lot of development this service has reached this position and many new changes will appear in this service in the future. For example, the Congress is now focusing on a new subject where it will only enable this service for those disabled workers that would successfully go through the Social Security disability program application process. The changes are yet to be made so, the present receivers should not be worried about this situation. In this article, we’ll talk about the remarkable changes that social security has gone through over the past few decades. The Act was first created in 1935 and its main focus was to provide the benefits to those retired workers who became eligible at age 65. Click Here and see how social security has evolved over the past few decades. The rules and regulations remained the same for a few years and the Congress decided to extend the benefits to the spouse and younger children in 1939. This step was highly appreciated by the locals and it brought a lot of amazing benefits. Then after a lot of discussions, the Congress decided to add the disabled workers in this category in 1954. This program also remained the same and then Congress decided to extend it to the families of disabled workers in the next few years. Here are some important points about how social security has evolved over time. The legislation to create annual cost-of-living was passed by Congress in 1972. Throughout the time several changes were made to the age limitation for retirement and several arguments were raised against the different decision. Now, 66 years is considered to be the full retirement age in most of the states. The disabled workers are not supposed to make any extra efforts to obtain these benefits. Once they are proved to be eligible for the social security, they would automatically start receiving the benefits. During the late 70s, the Congress went through several financial problems and it was not easy to deal with those problems. However, Congress made several changes to its terms and conditions and successfully managed all the problems. The congress decided to reduce the benefits of retirees and disabled workers and it also increased the payroll tax to deal with the financial problems. These changes played an important role in solving these financial issues. These are the points that can help you take a look at how social security has evolved over time. Whether you should go to a court-appointed attorney or hire a professional attorney personally? Most of the people, ask this question when they are going to appear in the court for a case. It is a very complicated question and most of the times lawyers avoid answering such questions because there is no particular answer to this question. Today, we’re going to take a look at the most basic aspects of both types of lawyers. This will help you determine that whether you should hire a lawyer personally or go with a court-appointed lawyer. The solution to this problem will be different in every situation, therefore, you must analyze your situation before making the decision. You must consider making the decision as soon as possible so the lawyer may make all the preparations before appearing in the court. The professional attorney would deny taking the responsibility if you contact him a few days before the appearance date. The court appoints a lawyer for those that do not submit their case through a professional lawyer. The lawyer is chosen by the court so you don’t have any idea about his skills and experience. You can talk to the lawyer after the appointment but it would be too late to decide because no other lawyer would take your case after that. If the case isn’t serious and you’re going to appear in the court for a normal offense, then you may take help from the court-appointed attorney because he won’t charge you any extra fee and he would handle your case properly. But if your case is very serious and needs special attention, then you should not take the risk of taking help from the court-appointed attorney because a small mistake by the lawyer can be extremely dangerous for you. In case of some severe offense, most of the people consider hiring the professional attorney so they can rest assured that their case is in the safe hands. For example, a person would like to visit the Law Office of Michael J Aed to stay safe from the major penalties instead of taking help from a court-appointed lawyer. Some professional attorneys may charge you extra as compared to the court-appointed attorneys but their services are really worth it. The professional attorneys take every case very seriously and they put all their attention on collecting evidence for the case. The professional attorneys try their best to keep you safe from the major penalties. You can now easily find the information about the professional attorneys on the internet and you may also take a look at their previous performance by analyzing the reviews of their previous clients. Try to interview numerous lawyers so that you may find the best lawyer around you. Mr. Borrelli has successfully tried many cases involving dangerous offenses. He has secured acquittals on counts of aggravated assault, kidnapping, armed robbery and murder. If you or a family member is charged with such a serious crime be sure that your attorney has experience trying these most serious criminal offenses. Any crime committed with the use of a deadly weapon or a dangerous instrument, or a crime which inflicts serious bodily harm on the victim may be classified as a dangerous offense. Such crimes are prison mandatory, even for first time offenders and are sentenced to an elevated term of prison compared to non-dangerous offenses of the same level of felony and historical prior status. In charging a case as a dangerous offense, the prosecutors in effect “ups the ante.” Often prosecutors will attempt to force defendants to plea to harsh and unfair prison terms, because they know that the Court cannot give probation after a conviction at trial. The decision to have a trial becomes more risky as the penalties get more strict. For this reason it is important to examine every way in which such a case may be faught and employ all defense weapons necessary. Where needed, expert witnesses and investigators can be employed to put together the best defense possible and ensure the most beneficial outcome for a client. As an experienced criminal defense attorney Mr. Borrelli works hard to prevent his clients from having to serve long prison terms. In many cases, the prosecuting agencies of Arizona, will overcharge offenses. Mr. Borrelli will fight to ensure that such overcharging does not stand where inappropriate. In many instances, motions to strike the allegation of dangerousness can successfully remove a case from the category of dangerous offenses to non-dangerous. This can lead to probation eligibility even if a conviction occurs. Additionally, Mr. Borrelli will work hard to secure plea offers to non-dangerous criminal offenses for those accused of dangerous crimes. In this way, they can often be assured a sentence of probation if they choose not to fight their case at trial. Being charged with a crime can be a frightening and confusing event. This is especially true in Arizona, where prosecutors seek the max even for seemingly minor offenses. Often times it appears no one will listen to your side and the system is just out to get you. Borrelli Law Office strives to provide aggressive and effective criminal defense throughout Arizona. Whether you are charged with a minor misdemeanor or the most serious felony offense, Arizona law often requires harsh penalties, including hefty fines and imprisonment. As an experienced criminal defense attorney, Mr, Borrelli works hard to minimize the effect of criminal charges on all of his clients. It is his belief that an effective criminal defense attorney must work to investigate and develop the best fight possible and also fight in negotiations with Arizona prosecutors in the Phoenix, Scottsdale, Mesa area and throughout the state, to provide the best possible plea bargain available. Whenever possible creating the best fighting strategy gives clients the best possibility of avoiding rediculous harsh criminal penalties. Your side will be clearly presented whether arguing to a judge or jury. Mr. Borrelli will fight for your rights and your innocence. He will collect all of the evidence, interview the relevant witnesses, file motions to suppress any evidence gathered in violation of your rights and to keep the prosecutors feet to the fire. The use of expert witnesses and investigators can be vital in aiding a criminal defense attorney in defending your case. Whenever necessary Borrelli Law Office employs such resources. If you choose to fight, your case will be hard fought to protect your freedom and liberty.The choice to take your case to trial or accept a plea is always up to you. For this reason, Mr Borrelli will also fight to get you the best possible deal. In the end, any effective criminal defense lawyer must strive to give you the bet possible fight and the best possible deal and keep you fully informed throughout your criminal case – this provides you with the two best choices possible so that you can make the best most informed choice and ensure the least possible penalties if any. This should be the goal of every Arizona criminal defense lawyer. 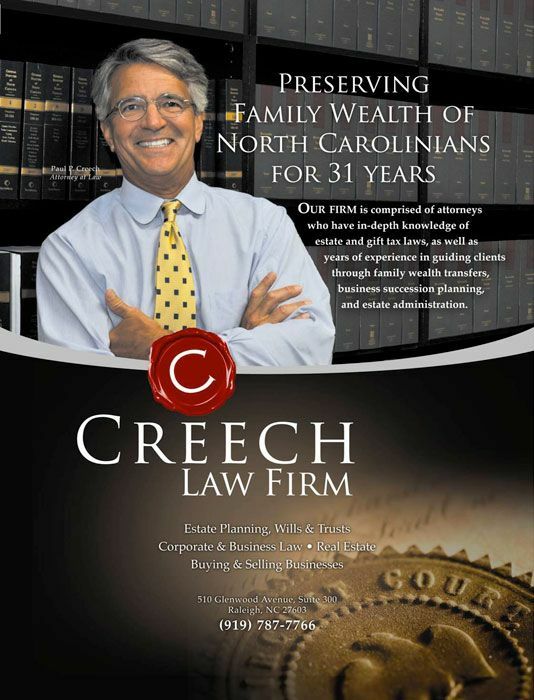 For criminal defense lawyer and serious felony offense. Click Here.